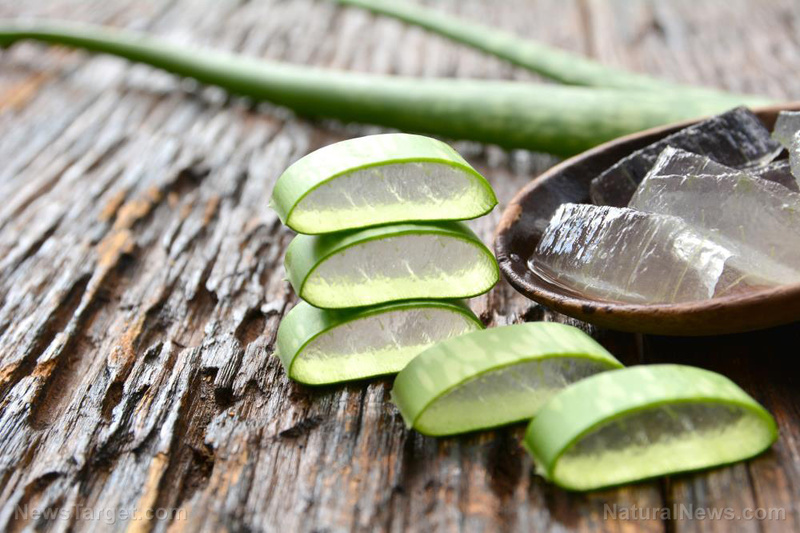 (Natural News) People with diabetes may want to consider taking aloe vera. This well-known medicinal plant has been found to have protective effects against diabetes-induced nephropathy. Diabetic nephropathy, also known as diabetic kidney disease, is a serious kidney-related complication of diabetes. Around 40 percent of people with diabetes develop kidney disease later on. This condition causes the kidneys to poorly remove waste products and extra fluid from the body. One of the ways to prevent or delay diabetic nephropathy is to keep your blood sugar levels under control and maintain healthy levels of blood pressure. For the study, the researchers induced diabetes in the mice by giving them streptozotocin. Diabetes has been shown to induce hyperlipidemia and oxidative stress, which contribute to the onset of diabetic nephropathy. Indeed, diabetes caused oxidative stress in the kidneys and elevated lipid levels (fats, cholesterol, and triglycerides) in mice. Eight weeks after, the mice had diabetic nephropathy. However, when mice were treated with 300 milligrams per kilogram (mg/kg) of aloe vera extract, diabetes-induced nephropathy and renal oxidative stress ameliorated diabetes-induced nephropathy and renal oxidative stress. In addition, aloe vera treatment was found to be more effective in protecting against nephropathy than lisinopril, a drug used to treat high blood pressure and prevent kidney problems in people with diabetes. With these findings, the researchers concluded that aloe vera has kidney-protective effects that can help prevent the development of diabetic nephropathy. Heals wounds: Aloe gel, which is extracted from the plant, may help speed up the healing process of burns or cuts on the skin. Improves digestion: Aloe vera produces a substance called aloe latex. This yellow pulp found under the outer part of the plant leaf has been reported to contain aloin, which is responsible for the laxative properties of aloe vera. It can be used to treat constipation. Relieves heartburn: Research has shown that aloe vera may help improve some symptoms of gastroesophageal reflux disease (GERD), such as heartburn, belching, and vomiting. Relieves sunburn: Aloe vera gel has a cooling effect which may help relieve sunburn. Treats skin problems: Aloe vera has also been used to treat skin problems like acne and psoriasis. It has a calming effect on the skin and has been reported to help lessen itchiness and inflammation. Read more news stories and studies on natural treatments for diabetes-related complications by going to DiabetesCure.news.